Filmmaker Sanjay Leela Bhansali whose last release ‘Padmaavat’ went on to mint at the box-office has now announced his next film ‘Inshallah’. The movie will star Salman Khan and Alia Bhatt in pivotal roles. This news was welcomed with joy by Salman and Alia fans and the ‘Raazi’ star too shared her excitement on working with Bhansali and Salman in her next. He further added that he is also working on ‘Gangubai’, “I love the story, it’s been with me for long and I’m keen to make the film. Priyanka and I are in talks”. 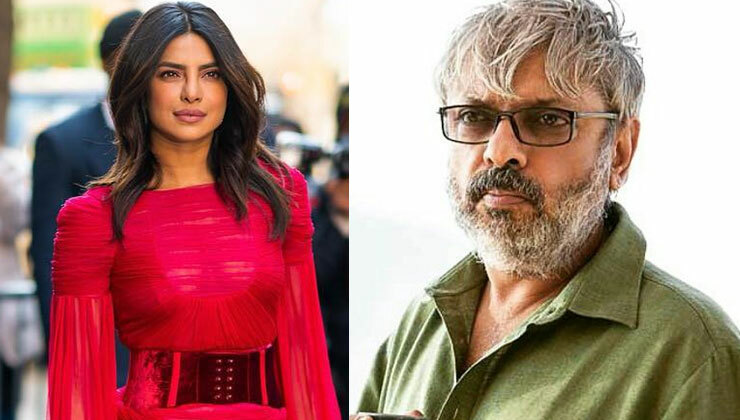 Priyanka Chopra had revealed in the finale episode of ‘Koffee with Karan 6’ which she had graced with Kareena Kapoor that she is in talks with Sanjay Leela Bhansali for a movie. Now with the filmmaker too confirming the news we just cannot wait for the movie to go on floor soon. The last time Priyanka had collaborated with Bhansali was for ‘Bajirao Mastaani’. The film that also featured Ranveer Singh and Deepika Padukone along with PeeCee went on to be a blockbuster.